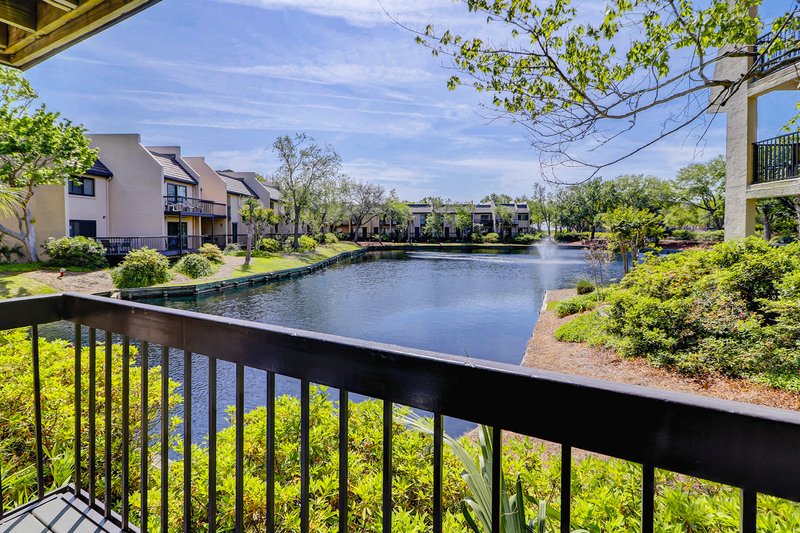 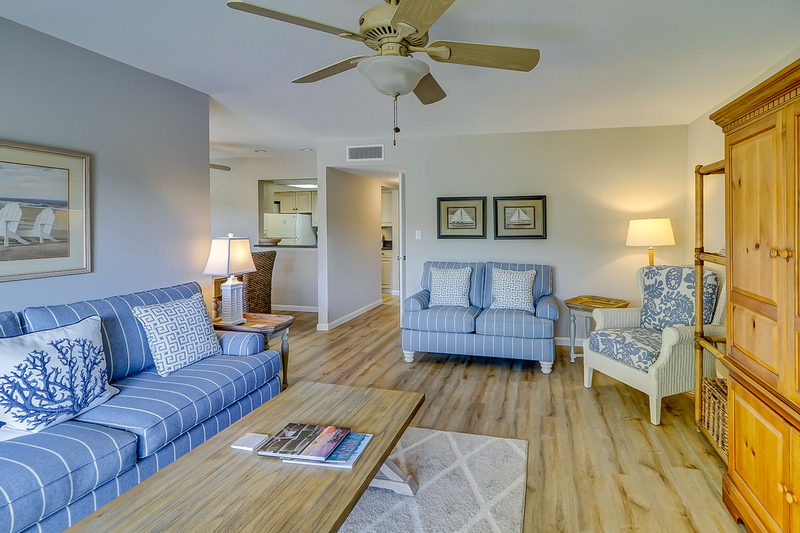 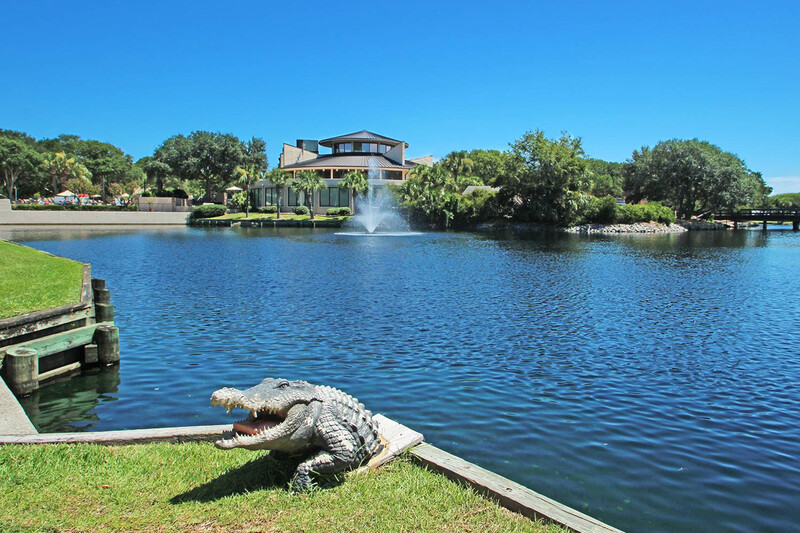 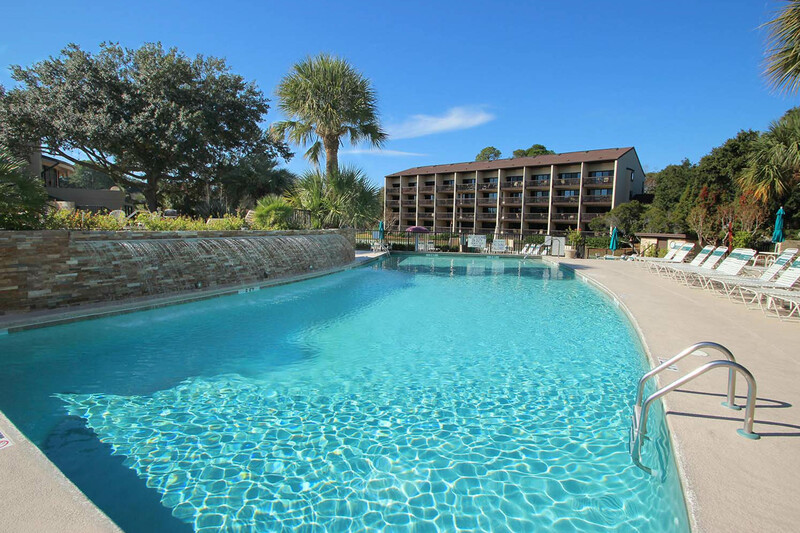 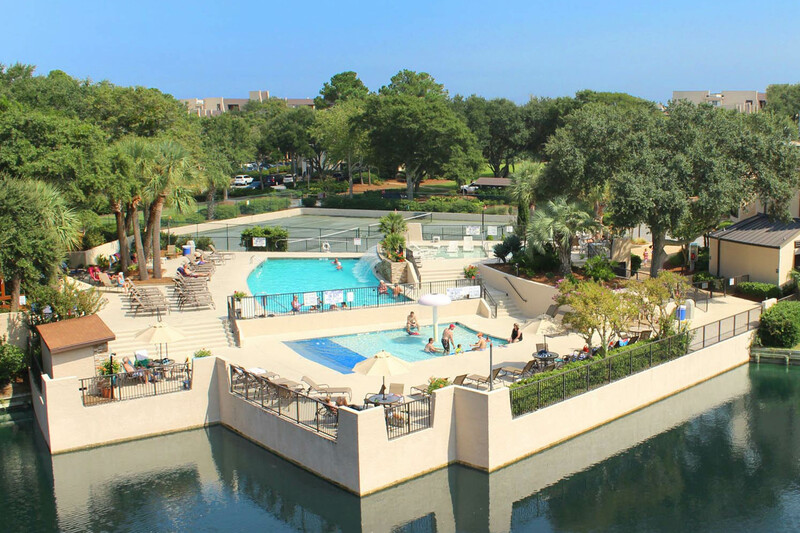 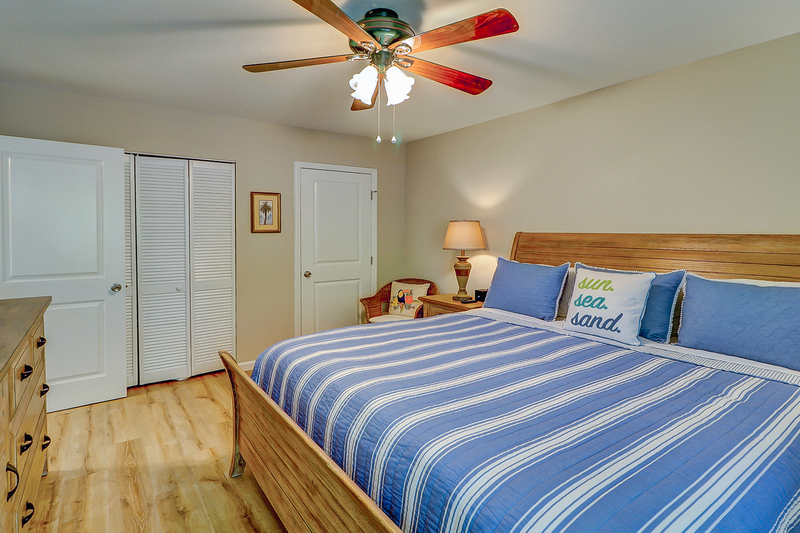 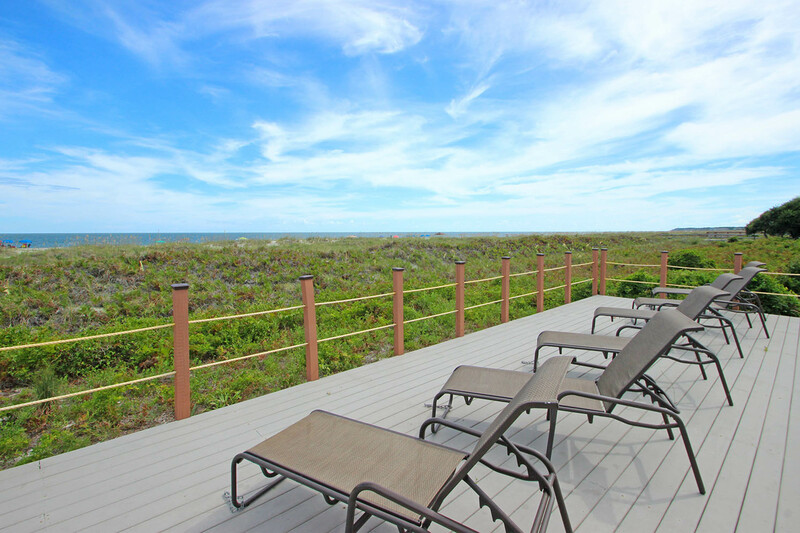 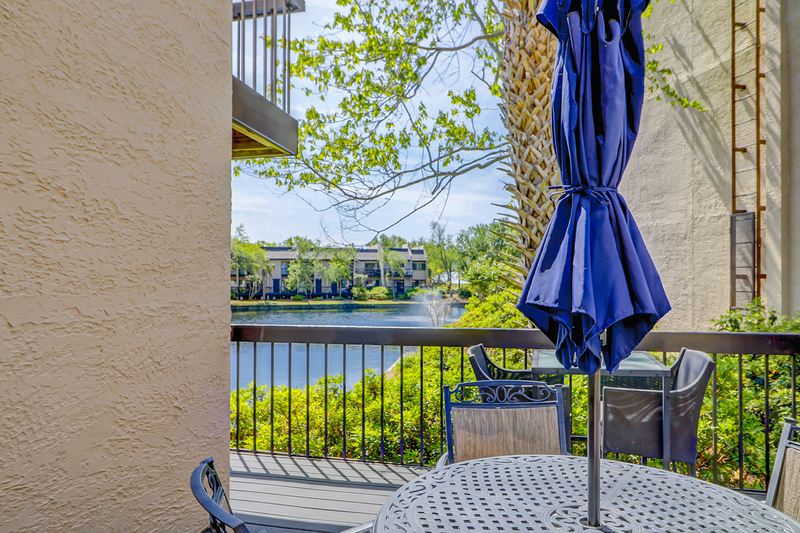 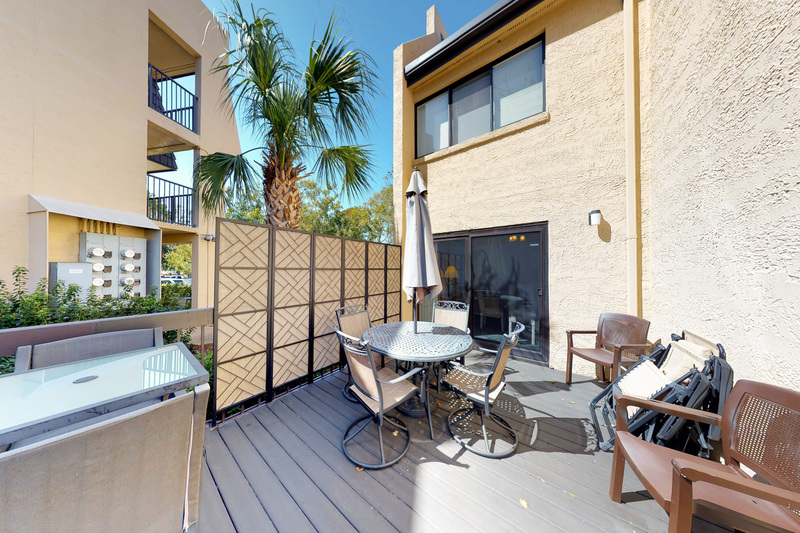 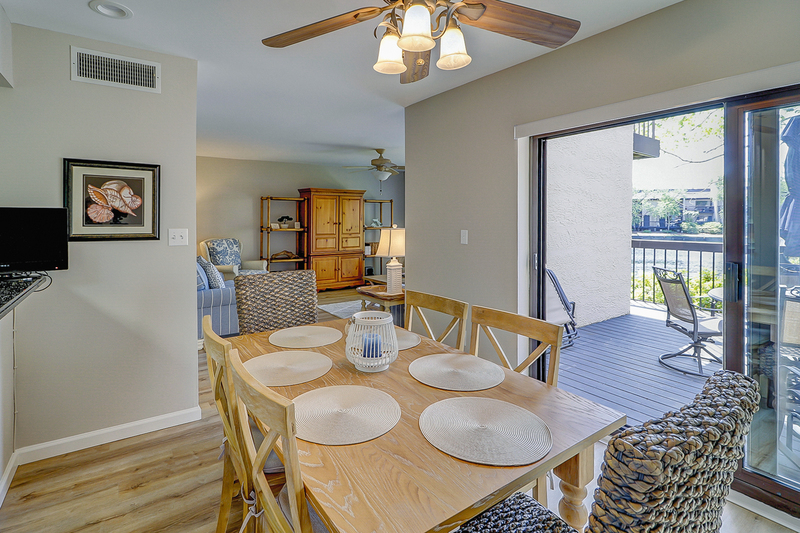 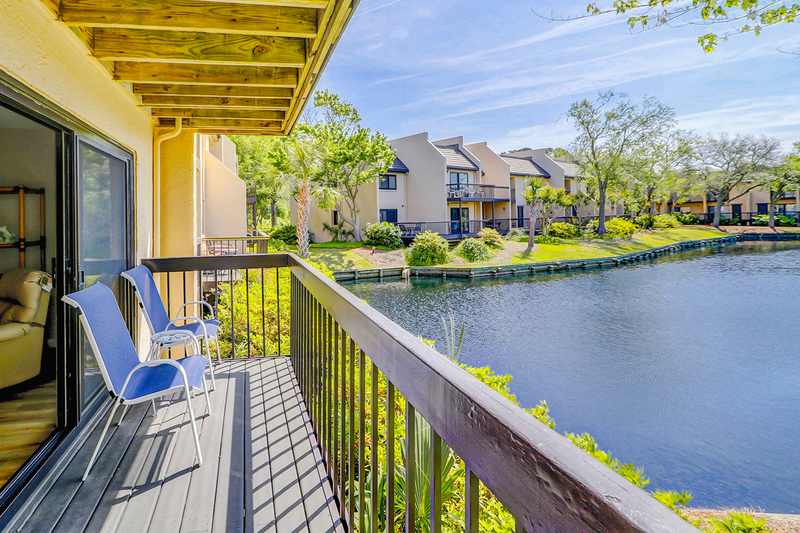 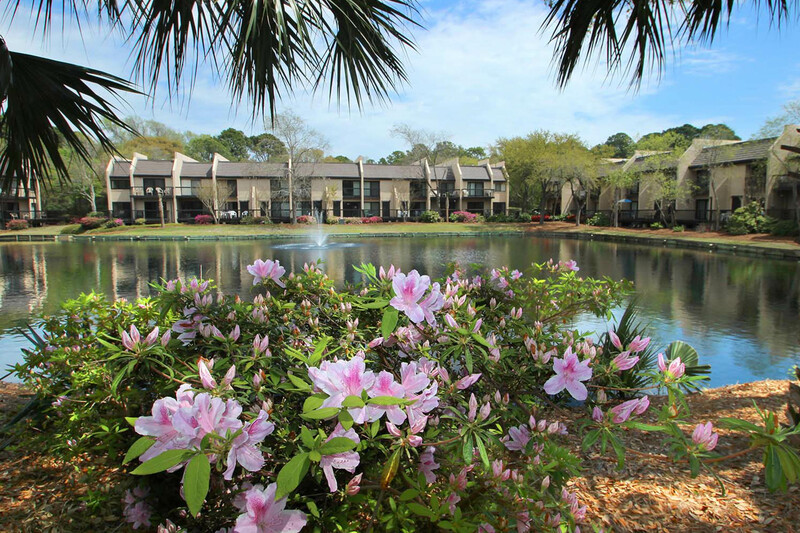 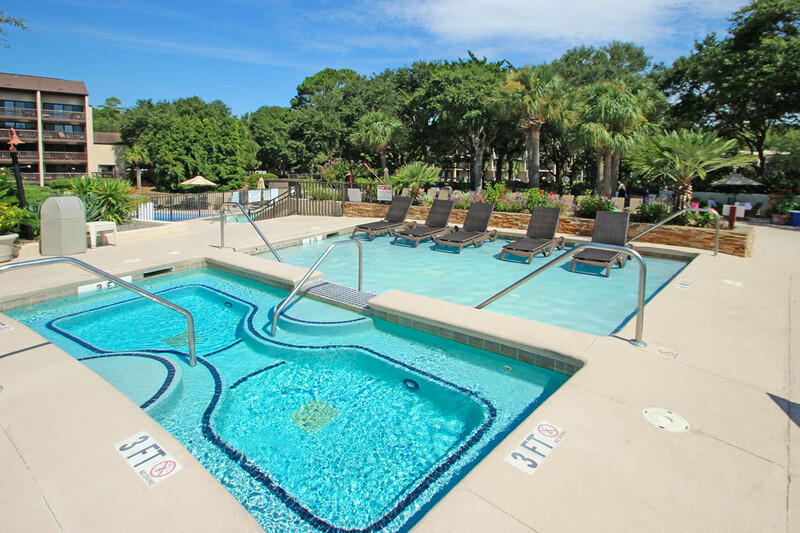 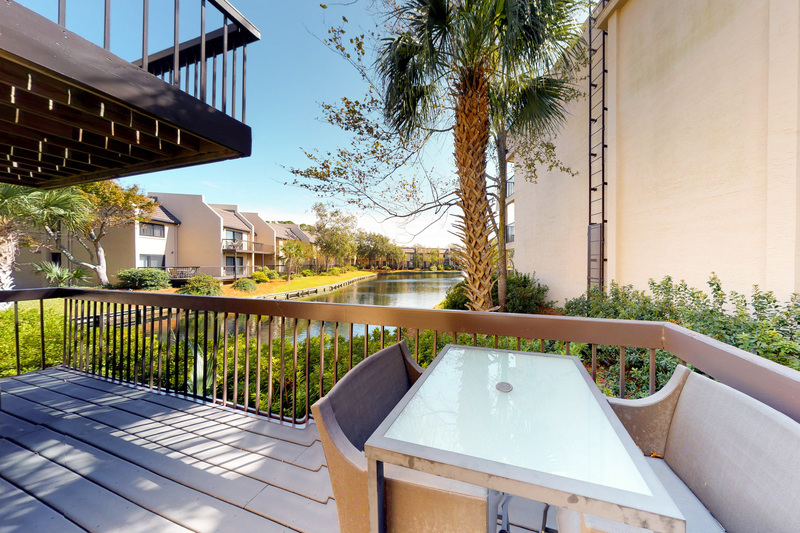 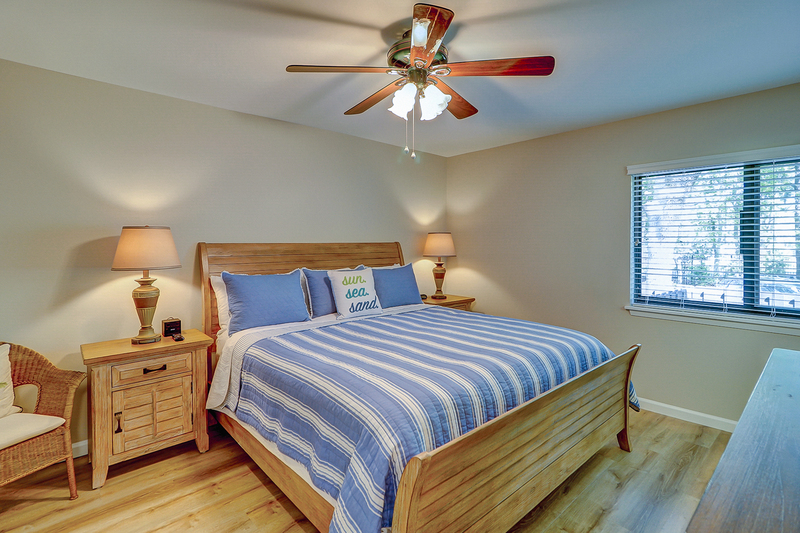 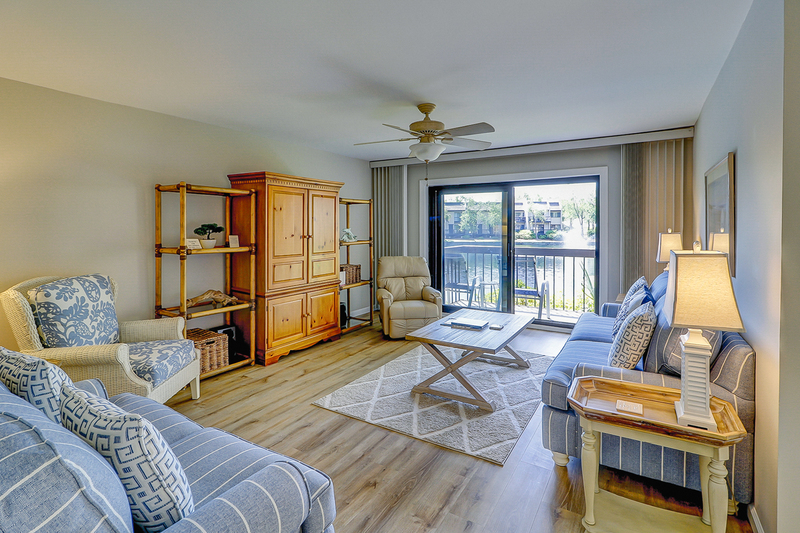 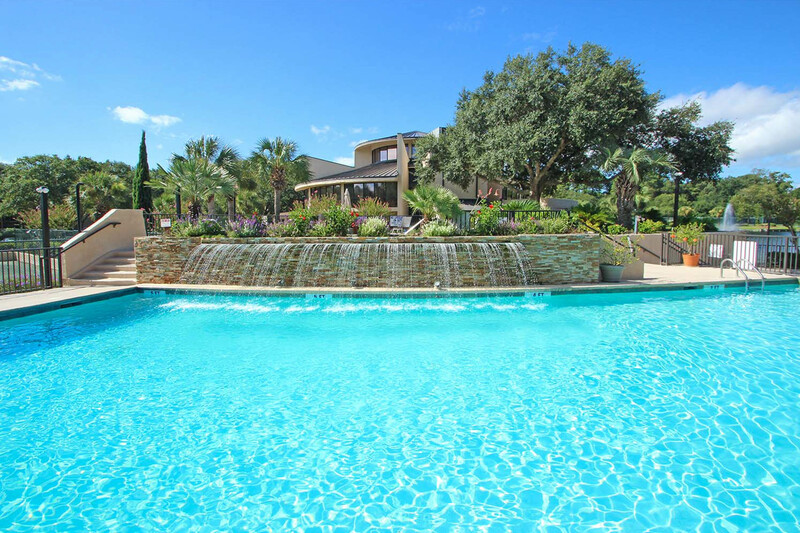 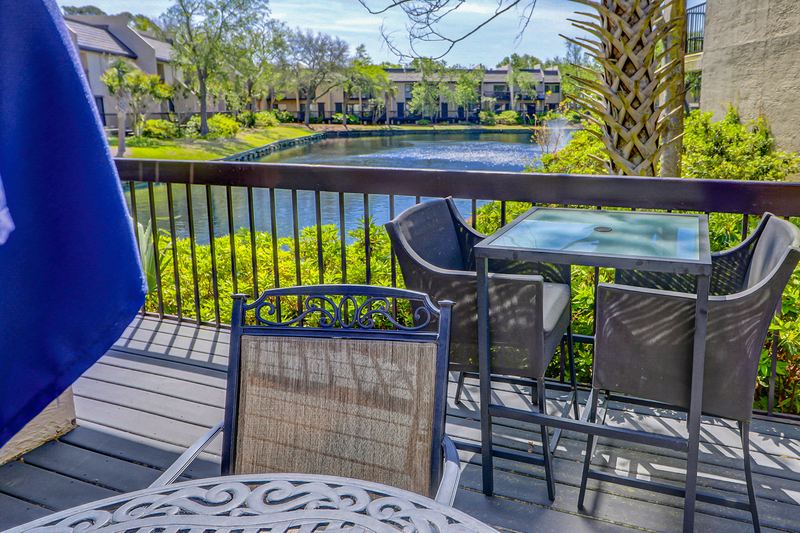 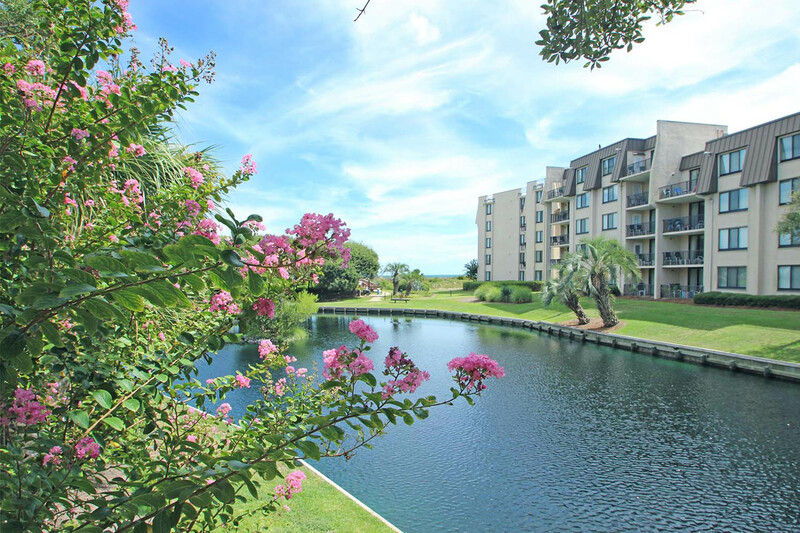 This 1 bedroom first floor, end unit at Island Club features a lagoon view from your private patio. 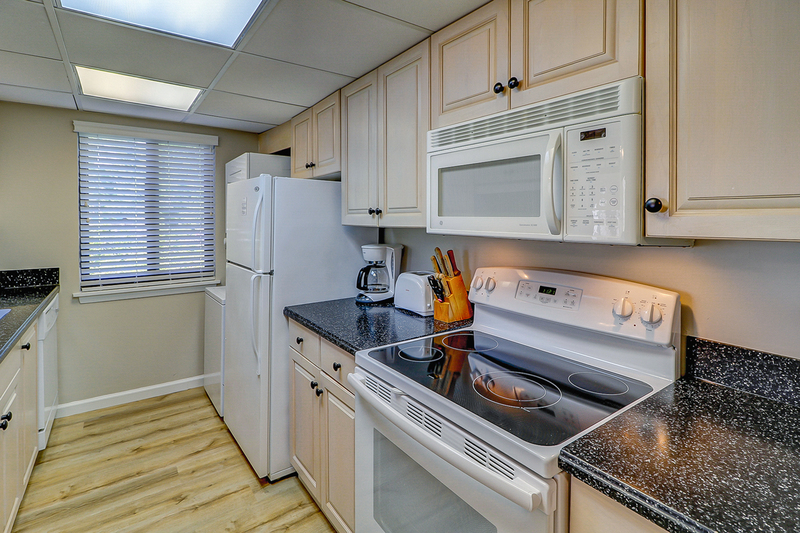 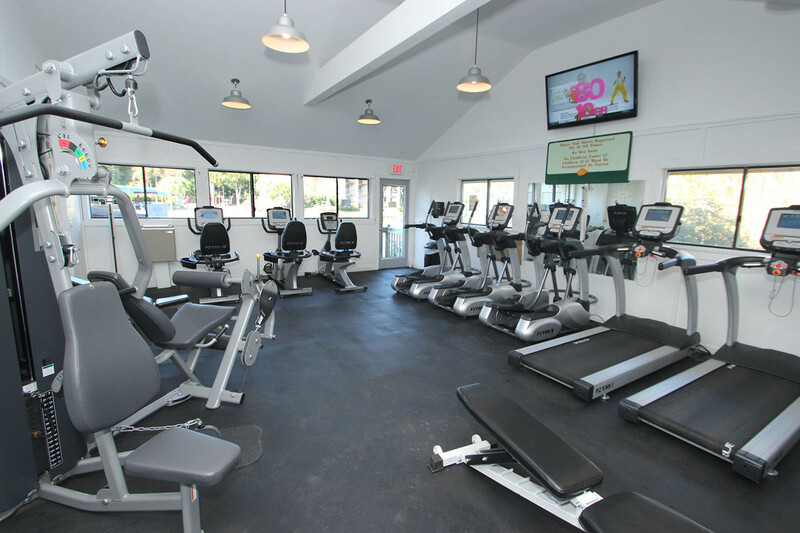 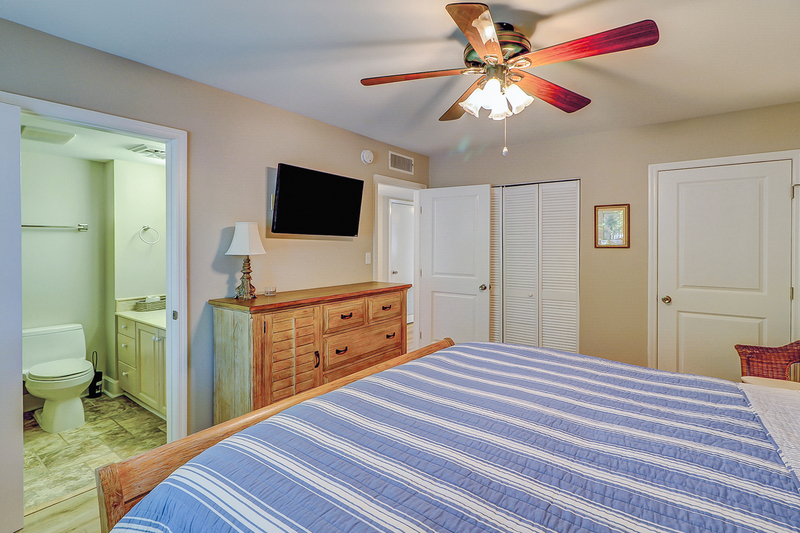 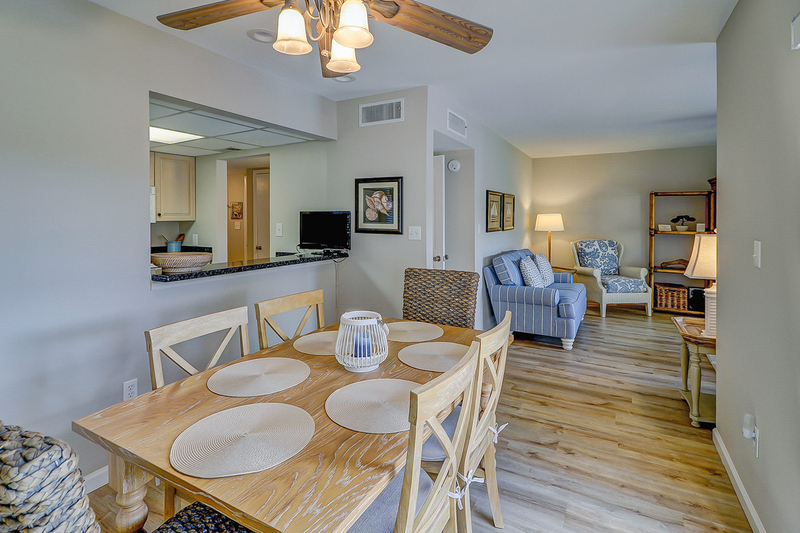 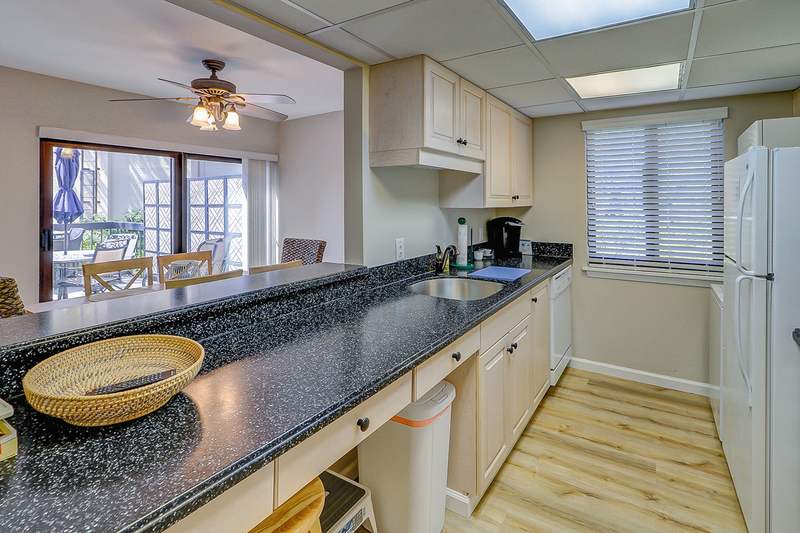 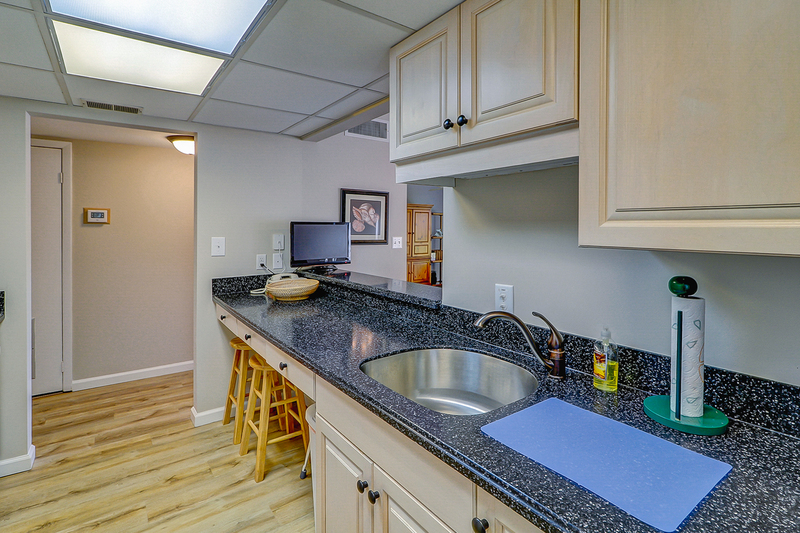 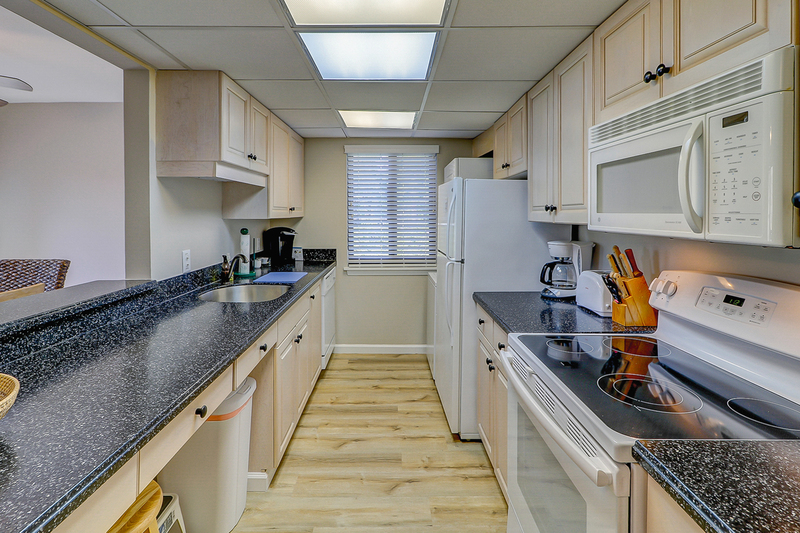 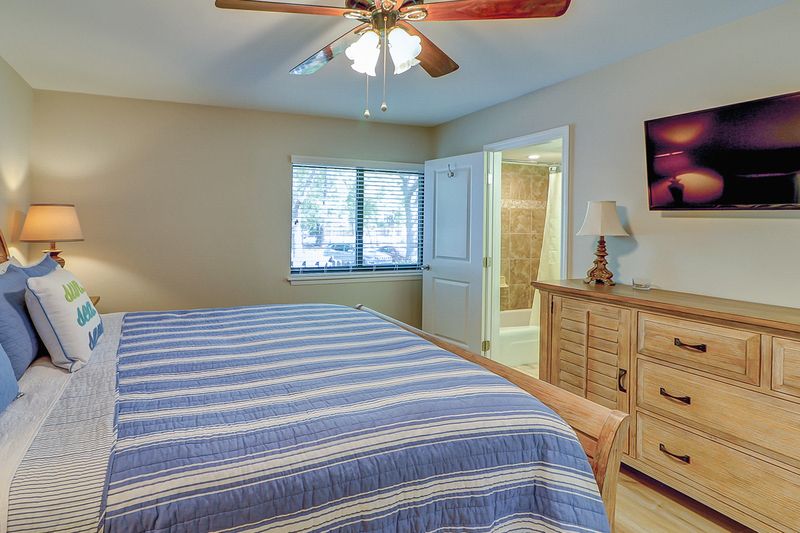 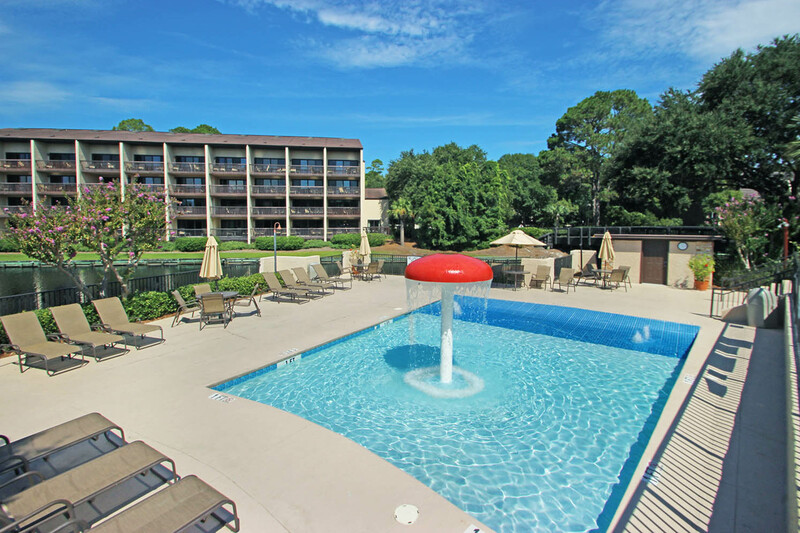 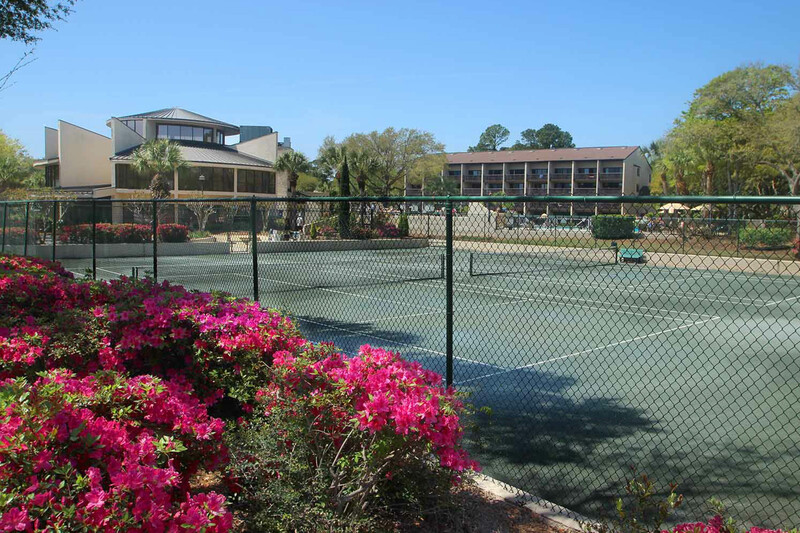 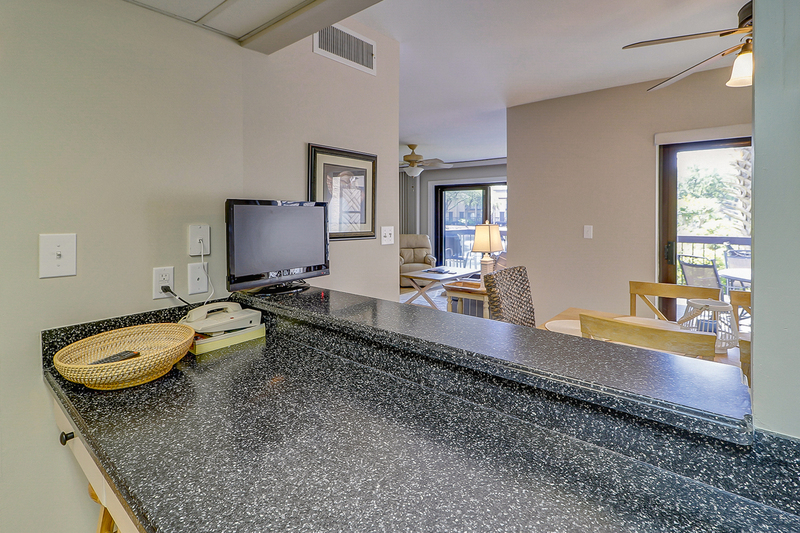 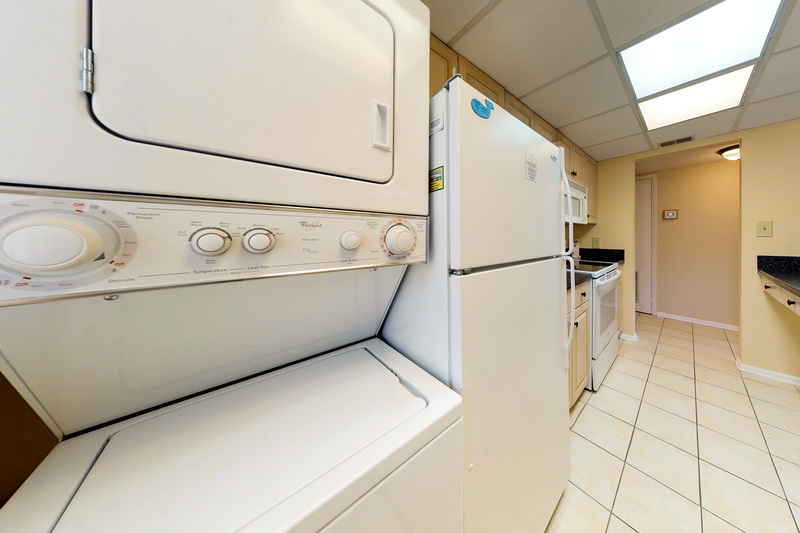 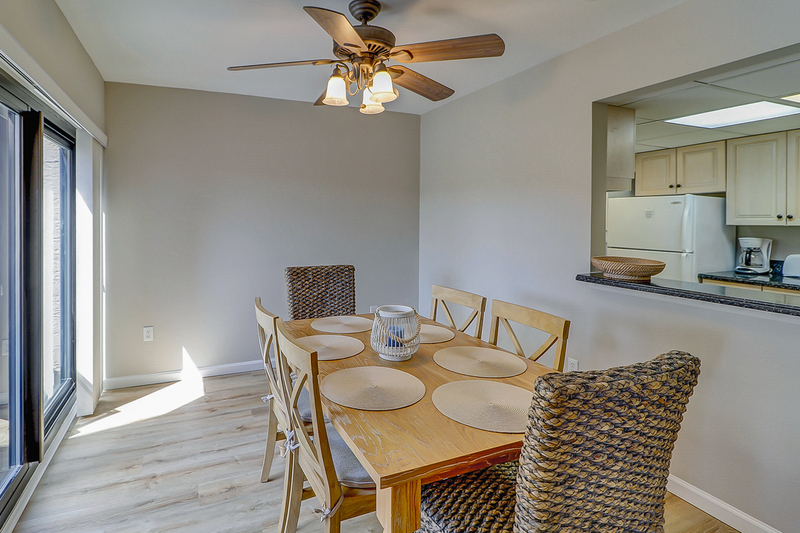 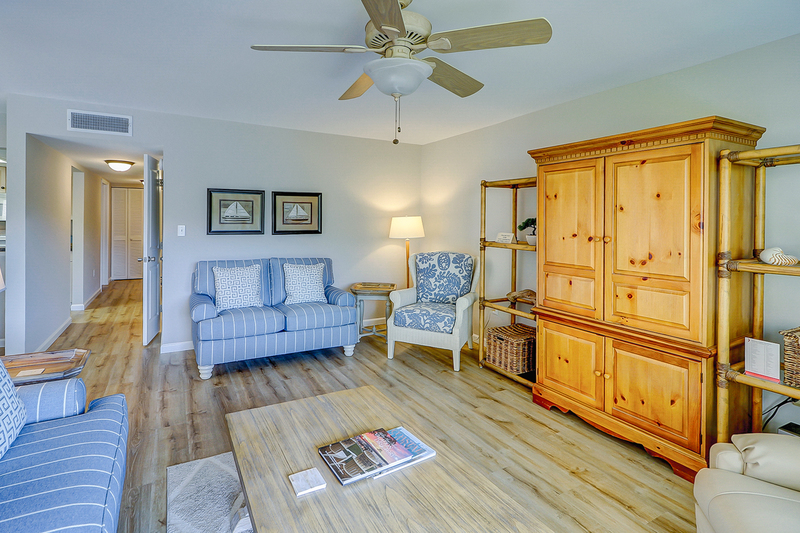 From the open kitchen, you have access to the living room that is furnished with a sleeper sofa, 42" flat screen TV. 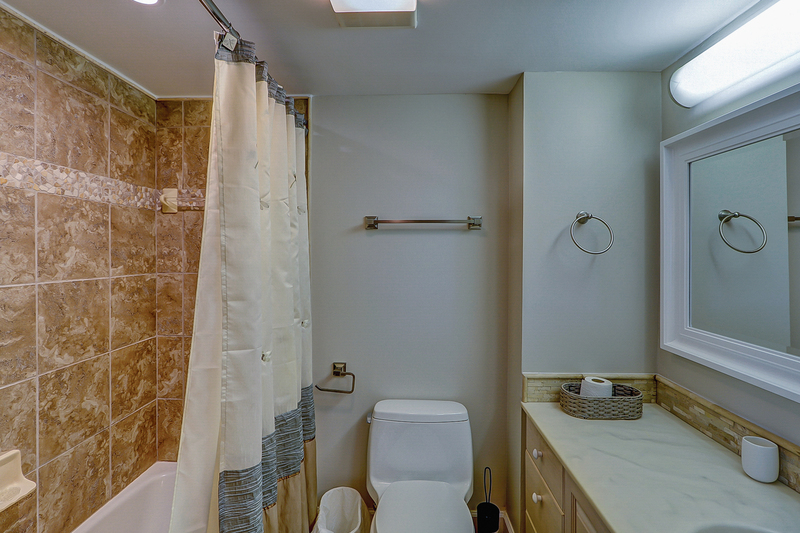 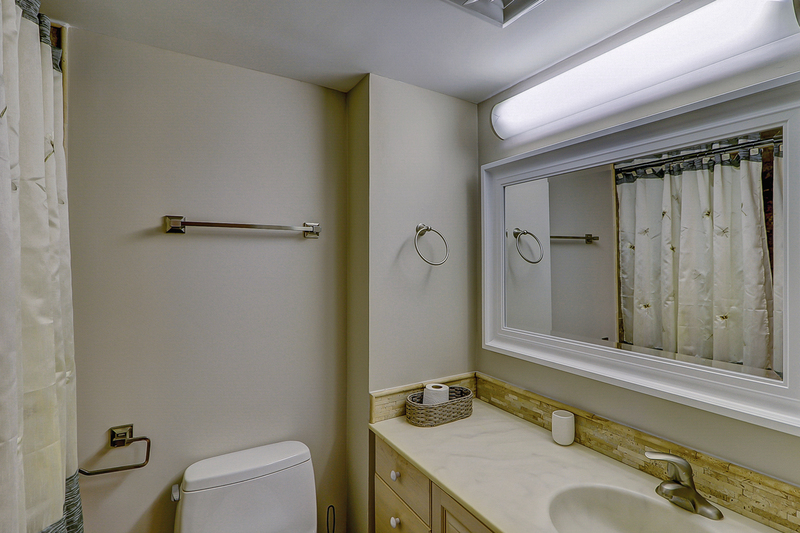 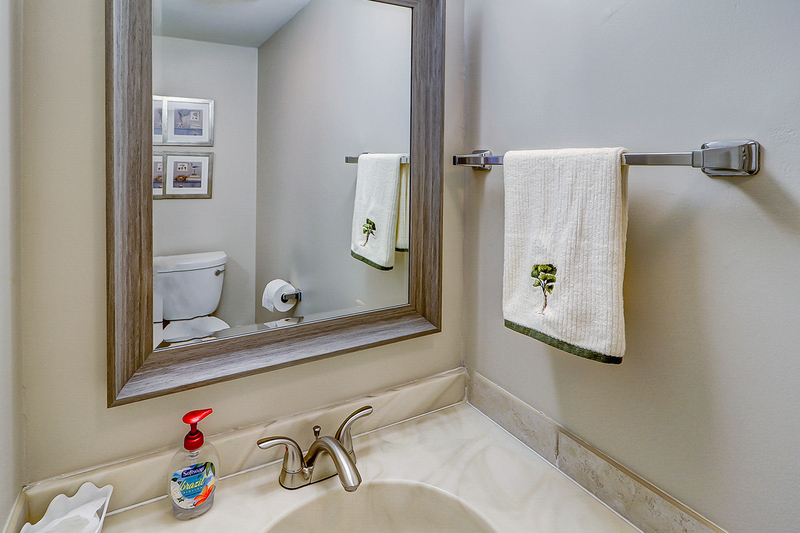 Guests here have access to a half bathroom in the hall as well.